In early spring, as if ordered by Mother Nature herself, the small town of Honaker Virginia erupts in a brilliant display of pink. Thousands of Redbud trees herald the coming of spring by awakeing from their winter hibernation and exploding with the tell-tale Redbuds that will become lush green leaves over a few weeks. 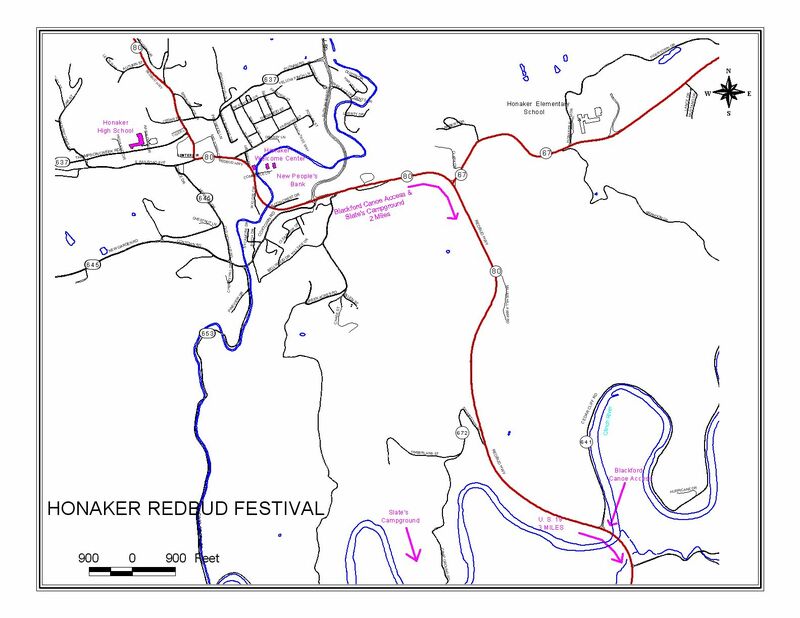 April 12th -14th as we celebrate our 38th annual Redbud Festival. Music, games, pageants, canoe race, or auto show. We are sure you will find something fun to do with your family!